If 7....Nxe4, 8. Qf3 and White controls the a8-f3 diagonal. White gives up the e4 pawn in exchange for control along the e-file. Not 13....Qd7, because of 14. Bb5 axb5, 15. Qxa8+ which is favorable for White. A surprise move by Bobby Fischer! The purpose of this move is to increase the control of the c4 Bishop. Now, we begin to understand why Fischer placed such importance on the c4 Bishop. If 22....Rf7, then 23. Ng7+ Ke7, 24. Qa3 .... Black's latest move intends to give room for the Black King at d8. The Black Knight is pinned, and there is nothing else Black can do to relieve the situation. A great lesson on material value. The e4 is a poisoned pawn. If 9....Nxe4, 10. Nxe4 Bxe4, 11. Re1 Bb7, 12. Bxe6 fxe6, 13. Nxe6 .... White's attack becomes disastrous. Fischer prepares for a flank attack. Black seals the f-file, but in so doing opens the a2-g8 diagonal. The flank attack begins. The intention is to divert Black's attention to the defense of the b5 pawn, and leave the c6 Rook at White's mercy. Black's Queen cannot capture the Knight because of the threat 14. Re1. If 17....hxg4, then 18. Bf4 gxh3+, 19. Bg3... Here White wins the exchange because the Knight at d6 cannot be captured. It is hard to believe that Fischer was not able to see the winning line 20. Qb4+ but there must a reason for the delay: he wants the Rook as well. Black's Knight and Rook will be lost in later moves, or face immediate mate. 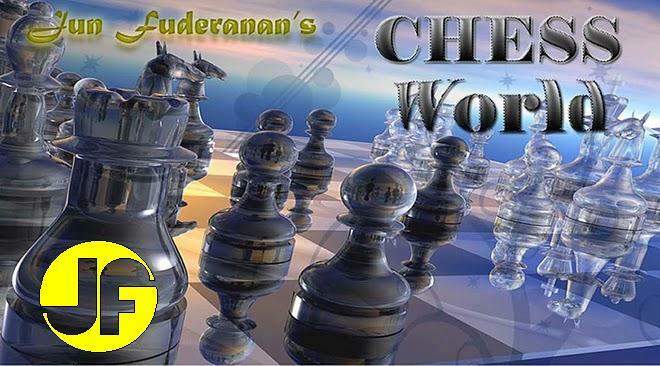 Attacking both the c6-pawn and the Bishop at f5. If 13....bxc4 dxc4, 14. dxc4 Bxc6! and Black loses his Queen. White's pin on the Queen leaves Black has no other choice. Now, if 18. Nxd5 Bxd5, 19. Qxd5 Qxh8. Black loses one Rook. If 19....Rg8, then 20. Qe5+ followed by Qxb8. 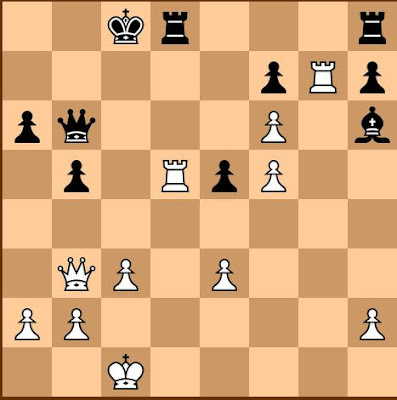 The Kasparov-Petrosian Variation, Romanishin Attack. The move prepares for a Queenside castling. Protects the h7 pawn and adds pressure on d5. To an untrained eye, this may look like a good move, winning an extra piece. But Black's reply shows this to be a blunder. White's best chance to equalize is 23. Bxf8 Kxf8, 24. Qxh7 f6, 25. Qh3 Be6, 26. Qh8+ Ke7, 27. Qh2 Qe5, 28. Qh4 Kd6, 29. Ka1 Kc7, 30. Qh7 Qg5, with a clear (but not yet decisive) Black advantage. White resigns. If 24. Bxh5, then 24..... Be4, 25. Qxe4 Rxe4 leaves Black with material advantage. Impressive victory for Vishy Anand.